The Beacon Wars have ended and a time of peace was supposed to have swept across these great lands, but alas, in Stormfall the drums of war rarely fall silent. For one league, The Hating Crackheads, they didn't have to wait long to receive their answer. The Knights Templar wasted little time. Scarcely had the dust settled from the Beacon Wars before their troops would be on the march once again: there would be no rest for these weary hearts. Mobilizing their great armies, they attacked the lands of The Hating Crackheads, lands that were in direct competition with their own and thus a threat to their dominance in the West. As can be seen from the image above, the Knights Templar were quick to cut straight into the hearts of The Hating Crackheads’ land. What began as a smattering of assaults became an unstoppable deluge. Before the realm knew it, the Hating Crackheads were isolated and alone at beacon 179. Their Marshal had made the call and told his troops to retreat and fortify this last bastion, their last chance for survival. The Knights Templar surrounded the remaining forces in beacon 179. Preparations were made and assisted by the Rebels, who launched a preliminary attack to soften up the defenders before the main body of the Knights’ army stormed the beacon. The battle was bloody, fierce and gruesome. The forces of The Hating Crackheads put up a valiant fight and very nearly held fast, losing by a mere few percent. Nonetheless, they were defeated and the day at last went to The Knights Templar. As can be seen from the image above, this was possibly one of the largest battles yet seen in Stormfall. The Hating Crackheads and their fallen soldiers must be given credit where it is due: they did not go gently into the night. To honor the valor of his fallen foes, Rick B, the Marshal of The Knights Templar II, did take to the public forum, where he congratulated The Hating Crackheads for their spirited resistance. With the fall of beacon 179, The Hating Crackheads were dealt a serious blow and it will likely be a long time before they can recover in a meaningful way. The Knights Templar on the other hand have secured their dominance on the Western front, moving them back into the realm’s #1 position. 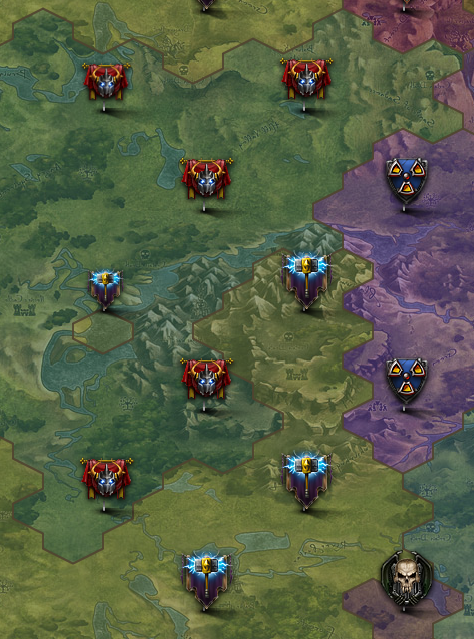 What other leagues are fearful of losing that which they gained during the Beacon Wars? Who will be the next victim, or will this close a chapter in this saga? No matter what comes next, the Chronicle will be there to report, and keep you, our readers as informed as we possibly can. Until next time my friends, be safe.